Calculates circle area and circumference of a circle fast and easy. 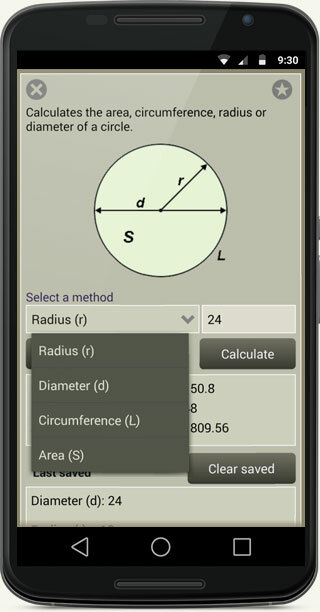 Specify your desired dimension than press Calculate button to find the circumference of a circle. Calculate the area of a circle, circumference of a circle, radius of a circle and diameter of a circle. 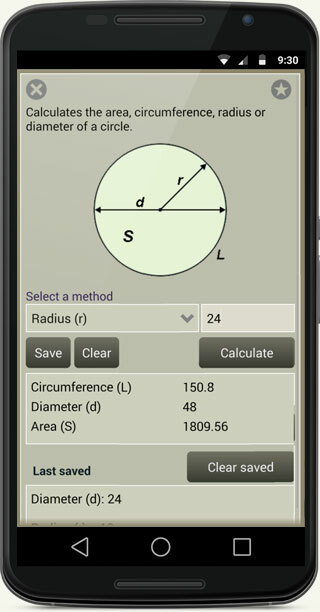 Detailed and accurate calculation of area of a circle and circumference of a circle. 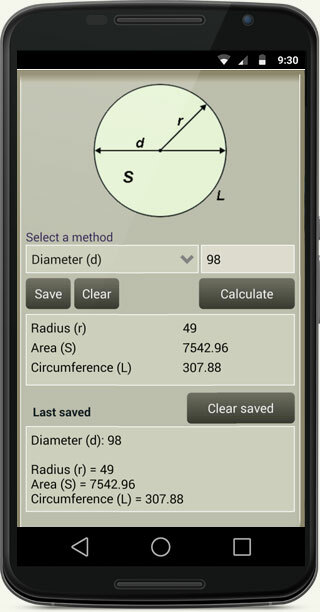 In app you can save your calculation data for future uses.